Welcome to Open Mic Mondays. Today’s guest is one of my oldest friends. 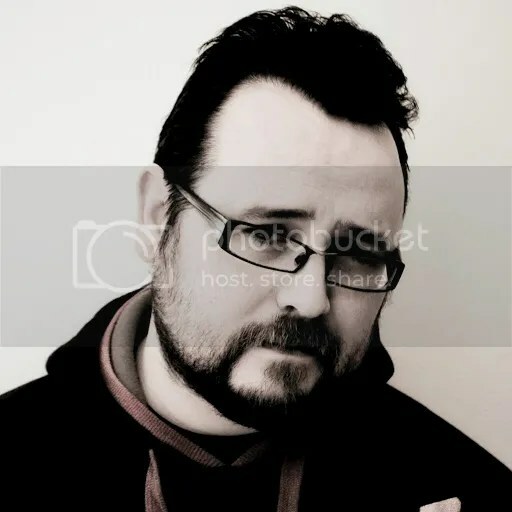 Chris Brosnahan was born in Ireland, lives in London and recently won NaNoWriWee. This was a contest, designed to mirror NaNoWriMo but with one difference; the novel had to be written in a weekend. Hence the Wee. Chris’ entry, POV, not only won but is out from HarperCollins Authonomy imprint as an ebook this week. It was a pleasure to see his talent recognized and even more of one to give him the slot this week. There’s an old trope in fantasy that says that knowing the name of something or someone gives you power over them. It’s usually something involving demons or alien types (the Doctor is particularly fond of this. Remember Charlie Brooker summing up Tennant’s Doctor with the phrase “Ohhh, it’s you!”? It’s a telling trait in a character unwilling to divulge his real name). Personally, I think the whole ‘having power over someone by knowing their name’ thing is entirely true, but it’s mostly confined to literary characters, and whether or not the author has any power over them. Personally, I hate coming up with character names. Hate it. If there is one thing that is guaranteed to stop me in any kind of creative flow when I’m writing, it’s having to come up with a character name. I start to write the scene, and it’s all going swimmingly, and then I get to the point in the sentence where I can’t avoid naming the character and I blank. Because I don’t know who the character is yet. And it feels like the name is an intrinsic part of the character. Because of course names are important. Look at Charles Dickens. Mr Bumble. Noah Claypole. Fagin. Bill Sikes. The Artful Dodger. Oliver Twist. And they’re all from just one sodding novel, the talented so-and-so. Even the bloody dog is perfectly named. Bulls-eye. Every one of those characters, it feels like you just need to read the names, and you immediately create an image of what they look like and who they are. But it’s a trick. Because while Dickens was great at creating names, he was better at creating characters. We remember the character names because we remember the characters. They fit because of course they fit. At the end of the day, you define a character by what they do, not what they’re called. 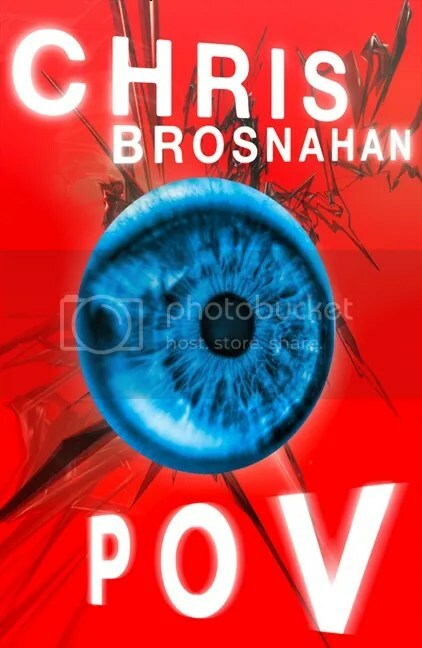 To use my own name, as an example – Christopher Brosnahan is a name that I used to think was unique. That specific combination of letters was something that I had complete control over. There was only one person with that name, and I got to define what that person was. And then Google happened. So far, I’ve found at least a dozen Christopher Brosnahans out there, and more if we go with ‘Chris’ instead of ‘Christopher’. There’s a chiropractor in Cincinnati, a real estate broker in New Zealand and a young man on youtube who apparently knows more about coding than I know about anything. We all appear to be very different people. Because you define someone by more than just their name. So, recently, I threw myself in at the deep end with regards to character names. Earlier this year, I entered the 30 Hour Novel Writing Challenge (also known as NaNoWriWee, or National Novel Writing Weekend). The challenge was to write a novel (or, indeed, a novella) that was a complete story. Mega-publishers Harper Collins stepped in and offered the first-place prize of publication under their Authonomy brand. When I sat down to start, I did so with nothing more than a netbook, pen and paper, my phone and headphones and a rough idea about the story I wanted to tell (which was going to involve nanotechnology, augmented reality and clones. Or something like that.). But considering that my issue with names had held me up for long periods of time in the past, I needed something. A plan, perhaps. Maybe even just a trick. Anything other than doing what I normally do and just writing <NAME> until I think of something. The previous time I’d got into trouble and just wanted to sit and write, I’d ended up looking at some nearby shelves and stealing names of authors. And even though I’d expected to have to replace them, because they were just intended to be temporary solutions, they ended up fitting perfectly. Because that’s part of the magic – once you’ve named them, you can start defining them, after all. But a full story, with all-new characters? That was something I hadn’t tried to do before in one go. I’d usually sweated over those names, and waited and waited and waited to find the ones that felt right. This time around, I tried something new. I opened up the notebook and I tore out two pages. On the first page, I wrote ‘first names’ and on the second, I wrote ‘surnames’. And then I started thinking of comic book writers and artists, and started splitting their names between the two sheets of paper. I didn’t stop until I had twice as many as I needed. Then I just started putting them together. Again, quickly. I just made the decisions and moved on, and didn’t give too much thought to what I was going to do with the characters, other than making sure I had a decent number of males and females. Once I was done, I had a list of character names. I allocated them as appropriate (which one sounds most like my hero? Which most like the grizzled police detective? Which most like a tough lawyer? Which most like a young girl?) and moved on from there. I basically cast them and then, again, moved on. It took me maybe ten minutes. But it meant that I had all my character names sorted. And I could stop worrying about them then and there. Instead of waiting for the one that sounded right, I made the decisions and I then simply made them fit. Because I had their names. And because I’d decided that, I had the freedom to start defining my character a little bit better. Instead of constantly second guessing myself while trying to establish the characters at all. The rest of the 30 hours was hard work, but if I’d tried to puzzle out the names based on what little I had worked out about their characters, I would have maybe written a few hundred words rather than the novella I did write that weekend. So there’s my advice. If you’re stuck, randomise the names slightly, then pick the best ones and cast them. You can, after all, always change them later. But at the end of the day, any names are better than no names in that first draft battle. Oh, and I ended up winning that 30 Hour Novel Writing Challenge (he said in an off-hand manner) with my entry. It’s a 20,000 word novella called POV and it comes out from Harper Collins on September 26th under the Authonomy brand. It’ll be an ebook release only, so you can pick it up for just 99p. I’ve thrown in a few bonus pieces in there as well, so hopefully you can’t go too far wrong for a quid. We now return you to your regularly scheduled Alasdair Stuart blogposts. Thanks, Chris and congratulations on your win, your caffeine tolerance levels and what sounds like a gloriously nasty central conceit. My pre-order is in now and I’ll be running a review shortly. In the meantime, do you have a thing, or indeed some stuff, you want to talk about? If so email me at alasdairstuart at gmail dot com and we’ll sort something out.